The doggie language course continues! I have had layovers in Chi town but I have never walked the city streets. It looks fairly typical for a larger city I am guessing judging by your photos. I will pull together more views of Chicago from the photos I took. Apparently Chicago was the first American city to build skyscrapers. Certainly the architecture in places was stunning. Hmm true and I was totally shocked to see these homeless people with dogs and making them beg. A pity though. A great post, Paul. Thanks. Although I do agree with Colette’s analysis further down. He told Jeannie that he hated being homeless and had a job lined up on a new high rise site in October. Well, heres hoping he pulls himself up… and the cat. While I’m sure you felt your photo invoked a compassion for his cat by the beggar, I think it might be slightly misguided Paul. Sadly, the trend for beggars to procure a convenient ‘pull for the punters,’ in the form of our four legged friends has been evident in Europe for a long time. Usually, these people sit near supermarkets so that people going to do their shopping will feel guilty. I have only given once to a Spanish man who sat outside with a very sad and emaciated looking dog. I went inside and bought 3 large cans of premium dog food (with ring pull opening). At least the doggy would eat and if the man were that hungry, he would eat it too. As it was, he opened one of the cans and let the little dog have it. If people feel sorry for these beggars…buy food for the pet first – it has no choice to be there. Colette, there is no question that the same approach is undertaken by many begging for money in this part of the world. But a few dollars for those with dogs seems a small price to pay whatever is going on. Trouble is, the dogs don’t get much benefit of the ‘dollars,’ which goes on booze and drugs generally. I always think it better to give food…like food banks. And agencies usually give out hot soup and blankets to street people. Giving money in many third world countries is feeding the ‘mafia’ pockets of the agents who put these people on the street for their own gain. Seeing homeless panhandlers always provides mixed emotions. It’s hard to imagine using that kind of strategy for survival. I’m guessing if you have no shame to beg (irrespective of your personal situation), you probably need the money a bit more than me. You put it much more eloquently than me in my reply to Colette. Precisely! It is a mixed emotion. My first response was always to give but world wide experience has given me a different aspect to the industry of ‘begging.’ I still believe buying a small trinket is a better way to help the poor…and to giving them self esteem. Begging in itself is a scurrilous business. If someone naively starts begging…he or she will soon be picked up by those who will take advantage. I am sorry if this sounds non charitable, but my charity is reserved for volunteering and putting money where it will make a real difference. No judgment here. It’s a tough dilemma trying to balance the need and integrity. I can’t imagine having to beg myself, and wonder what makes a person think that’s all they can do. And I agree providing them a meal is better than providing cash. Colette, I am not pushing back against you at all! Nice photos. I’ve been to various cities where I see homeless people with pets. The pets look well cared for, which pleases me. Hard to say ‘quality of life,’ but that is entirely subjective. There are many dogs tied on short chains in the backyards of nice homes on this island. As to homelessness in general, it is one of those really difficult things to decide how best to handle it. As to panhandling in general, I have a distaste for it. There are too many panhandlers saying, ‘will work for food,’ well okay, here’s a job for you … working in my yard … and they do not want it. I have given advice about other jobs, as well. Even if they look earnest, I see them back at the same place the next time I pass through. So these people make it more difficult than ever to determine ‘what next.’ I have to believe that contributing to legit organizations that help in a concrete way (shelter/food) is the better way to go. Aloha, Paul. No question in my mind that not only are you speaking for how Jean and I feel but also for the majority of folks who come here! Many thanks. I have not commented for a while because I have been busy and up to my brows in work. I will not have any sympathizers here but- I am sorry to disagree with most who have already commented. I worked in acute psychiatry for 35 years. I saw homeless men come in and sometimes they were brought by the police. Some were very thin and sick, some were substance and ETOH abusers and some were just mentally ill who did not drink or drug. No matter what these people did or did not do with their lives, there was an underlying reason that caused them to be homeless. I feel that by the grace of God go I. I do on occasion give money- not much- $2-$3 maybe. If they have a pet, I give a bag of dog or cat food and I always keep that in my truck. The men are always very grateful and say “God bless” to me. For the most part, I do not believe homeless folks use a pet as an enticement for handouts but I am aware that maybe some do. The bottom line is: the animal is the one thing that keeps them in touch with a living entity and in touch with reality, The homeless that I see, as a rule, take good care of their pets. In my town so called normal folks help the homeless get their animal its vaccinations and spay or neuter. We have a clinic that helps the homeless with their pets needs. My comment is not to say who is right nor who is wrong. These are my observations and my opinions. Somewhere in my blog is a post with a video about the homeless and their pets. I think the video is quite good. It was shot in Austin, Texas and all the pets appeared to be in fine fettle. I see homeless people here in Spain too. Mostly of them have been hurt by the huge economic crisis, as we have had for many years. Now it is going the right way, but things take time. I use to support the Spanish people, who are homeless, in one or another way, when I can afford to. Not all have animals, but the ones I see with animals, take more care of the animals, than for themselves. Sometimes I give a little of money and other times I buy food for the animals and give. In a period, where I live, we had a lot of beggars, not homeless people. They were gypsies and seemed to be very poor and walked around in very old clothe. They did stand in front of the supermarkets and asked for food or money. Many bought them some food, but the supermarkets need to throw them away, because many stopped shopping there, because these people was impossible to avoid. The ran after you to get something and while you opened your car, they were very watchful to see, if you had anything interesting in there. These people did destroy it for many of the real homeless souls, why I choose to help them, when I can. There are many reasons, that people become homeless and it is not my job to judge anyone. I’m free to choose to see these souls or I can just pass them. They don’t run after people to get help, they are just grateful for each help, as they get. I forgot something important here Paul. The beggars, as I wrote about, I met several times other places in the city or in the surroundings. Here they drove in big new cars, was in beautiful new clothe and were not poor people at all. Yvonne and Irene, both your replies are important and valuable. Ultimately it is about getting to the heart of why some of us become homeless, why some of those have pets as companions and, indeed, whether a proportion of those persons are not without homes and are effectively cheating money from donors. 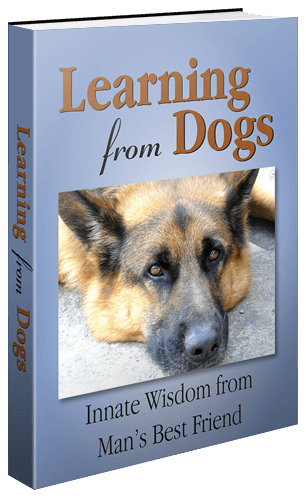 These are key issues that I want to explore both for this blog and for my second book Of Pets ….. And Of People. Thanks to all who have written responses here. There are real homeless people for psychiatric reasons; drink, drug and gambling reasons; and just the few poor souls with learning difficulties or physical impairment that preclude any kind of meaningful work. These people fall by the wayside, but at the same time, in my experience, they look for small ways to care for themselves. Many work for peanuts selling magazines (Big Issue), many busk (playing guitars or some other sort of venue), some just hope that one of the homeless agencies will give them a bed and food in return for simple cleanup duties. I have no beef with and of them. And yes, I have seen well cared for pets with a tiny few…treasured companions. But as IreneDesign mentions, there are some who make a business out of begging. Most have been removed now, but as little as 5 years ago, it was quite usual to see beggars on the streets of Bangkok. Like India, Thailand seemed to have an extraordinary number of people who were blind, had missing limbs or disease states like leprosy. The lined the streets with begging cups along with the young women holding babies, doing the same thing. Most tourists put copious amounts of money into the cups. After years of visiting the same areas, I learned that each beggar had their own patch. The most famous was the ‘Slug,’ a man with a missing forearm and missing lower leg who would drag himself, prostrate, along the street near Nana station (tourist area). He was black from head to foot from the filth put out by car exhausts. He was later identified as the highest earning beggar. The next highest was the ‘Octopus’ woman. She had her pitch at Chatuchak market (a big tourist venue). A doctor once offered her the simple cure for the numerous tumors hanging from her face (so unsightly it was difficult to look at her and not feel terribly sorry for her). She refused treatment as she made too much money from begging. Many beggars are born into this awful state. Maimed as children and put on the streets. Most of the women with navies, will have borrowed the baby for their shift on the streets. I realised the huge criminal element involved one morning at 5:00 a.m. A posh minibus stopped on Sukhumvit Rd (main street) and all the beggars alighted. Each took off Prosthetic limbs and donned rags as I watched spellbound by the transformation. A business operation on a grand scale. It was reported that Slug man regularly made $250 per day…a lot of money where the average wage is little more than $20 per day. Sometimes, I have given money to those who generally looked about to collapse. But even these can be shams…I once gave some dried noodles to several beggars and they did nothing more than shake their fists…not exactly what they are looking for. Paul, you know homelessness is on the increase, and you would be shocked too if you came back to England to see how many more sleep rough on our streets.. In our own home town, the official number reached 15 after the local authorities came out of denial we had a problem.. When a new MP took over. Best not to lift the lid on why in so many parts of the world society isn’t working for all. I think the lid we need to lift Paul.. And I think we know what we would find.. Yes, I know precisely what you are inferring.